Let the dance begin! Season of the Elves is now live, together with a brand new seasonal mode, frames, and avatars! In this month’s seasonal mode, all cards in your deck will be duplicated when you enter the game. Whenever you play a unit from your hand, you will also play a unit with the same Provision Cost from your deck! Season of the Elves will last until Tuesday, April 30th, 10 AM CEST. Players with ranks 26-30 will start the new season with the same rank. Players with ranks 21-25 will start the new season with Rank 25. Players with ranks 1-20 will drop 4 ranks when a new season starts. Pro Rank players will start the new season with Rank 5, with the exception of Top 500 Pro Rank players who will remain in Pro Rank. 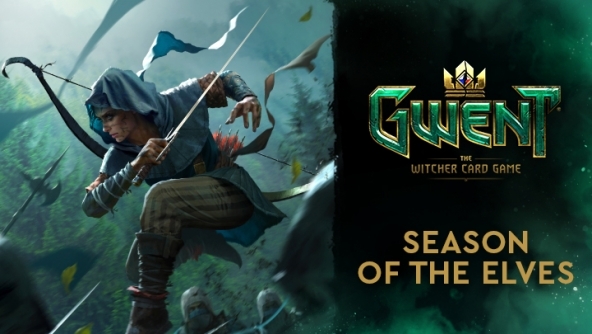 Season of the Elves and Season of the Viper (May) will be also the last ones to award players with Crown Points counting towards the final tournament of this GWENT Masters circuit – the World Masters. More information regarding our plans for the GWENT Masters e-sports series coming soon! I was hoping that the "Young Iorveth" Avatar would be a reward in the new Season. Will it ever be available again? The seasonal mode is... interesting, shall we say. I love this mode. It is so complex, and so unpredictable. I have so far only built a Dana deck for it and the matches are crazy. I hate to say it, but for the second month in a row, seasonal has been way more fun than traditional Gwent. I don't really know what to think about this mode. It feels a lot less tactical in my opinion than the last mode and just like playing your cards in a random order with additional random cards appearing. I haven't even bothered creating an own deck for the mode yet. Also, I believe that the mode is as unbalanced as the last with full NR engine decks just steamrolling anything and the opponent having hardly any chance at all. What about an elven cardback? I already had the cardback, the missions are easy. The mode is entertaining. Oh my God dude you are missing out. This is so much more fun than bear mode (and I fricken love bear mode.) Couple things to note. 1, special cards are always handicapping because they don't play a second card. 2, it is only random in the sense that any card with the same amount of provisions can come out. If you only build a deck with 2 provision 9 cards, then when you get 1 you play both instantly. 3. Removal is very much a thing in this mode because damage cards and engines come out 2 at a time. I absolutely wasted a charge deck with low cost poison removal and Dana. I'm talking 2 round win with a margin of over 40 points per round. Engines are good, but they are hardly the end all. I do agree there is an aspect of luck. If there are for example 3 cards you could get, and 1 is a game changer, you are depending on something that statistically you should not get. However, bear mode was luck based as well. When you killed the bear you didn't know what you would draw. This mode is like an ultimate showcase for new cards while having enough variety that no 2 matches will ever be identical. Give it a try and you will be pleasantly surprised. CDPR, I am often hard on you guys, but this mode was a stroke of genius. Who knew organized chaos would be so enjoyable. Who knew organized chaos would be so enjoyable. I just had one sided entertaining duel with mine Crach an Craite against opponents Usurper. I managed to win the first round and wanted to play just one card in secound round to get space for new drawn cards. All I wanted was to literally get rid of 8th card in hand and then pass. So ... what is my worst card in hand ...? Ok, I will throw out Heymaey Protector, he is just 3 points and I already used its cooperating cards in the first round. So, here we go, 2x Heymaey Protector on melee row. Wait, opponent played 2x Yennefer: Conjurer ... What if ... what if I will not pass and play second Heymaey Protector from my hand? Ok, done, there are 4x Heymaey Protectors in line on melee row. Unlucky opponent triggered his both Yennefers and after that, he had no chance. It took him yet another turn to realize, that triggering Yennefer is making things worse for him, but at that moment, my Protectors were already mine highest units for the rest of second round and it was done ... 2:0. I really just wanted to get rid of my 8th card from hand and pass, so I played the weakest card in my hand. It might sound weird, but my problem is that my deck is "too good". I took my favourite ranked deck without any optimizations for seasonal mode (which means that I have 4 useless cards) and I still have lost only 1 out of 20 games and even that loss was only due to a really bad card deal instead of a good opponent. In the season of the bear mode, I lost nearly everytime against Crache with all the decks I tried, but against other decks they were fun and challenging. So, I will probably have to switch to a weaker deck to have fun, which feels really weird. The thing why engines are so much stronger here is that you can already interact with two of them the turn they are played. All those engines with Zeal can be played in the same turn as another engine and already be used. Also NR has quite some powerful engines that interact with the whole board like Dandelion, Arabalest, Reynard, Natalis or the strongest one of those Vygota. Vysgota+Dandelion becomes due to the double amount cards played about twice as good and as the player can play them in the same turn, both of them are much more safer than if they were played after each other. Whaaatttt? You already got the Elf Cardback? That is crazy! Well done!! The matches are unpredictable. Games I thought I was definitely going to win, I lose (because I didn't have space to play my card ) and some games I thought I was sure to lose and won. I didn't play even three games last season, but now, I am only playing this seasonal mode (mainly to get my Elf Cardback). Is there something not working with the "Play 40 cards in one match"-quest? It isn't unlocking for me. I've tried a discard deck which resulted with 44 cards in the graveyard. Are there some interactions that don't count? Like summon or doomed? Yes. Summon does not count. Some good examples of cards that play multiple are Roche spy, canterella, dutchess informant. Some examples that don't countzl, Witcher trio, roach, blue stripe commandos ordered to the field. At freaking last I had past the Play 40 cards and got my Elf Cardback! Tried a lot of different 'Play a card's thingy with ST, but then faced Assimilate bullies who pushed for 2-0 or others who will forfeit, I managed to do it with Emhry: Double Strigobor, 5 times The mage who pulls cards from each on Order (with 2 Letho). Big thanks to my opponent who played Dettlaff and didn't move those two cards even though (s)he had Drowners. (Whoever you are, you are a great sport! Thank You!!). How did everyone achieve that challenge - Play 40 cards in a match? It is really easy with NG spies. Each one counts for 2. Except emssary they all either play a 2nd or create a second. Anna also adds one. Think of it like this. You have 16 cards, if each plays 2 you get to 32. So you need 8 extra. Dutchess informant is one extra. Canterella is one. Anna is one, the dude that lets you create bronze units is actually 3 if you create a dutchess informant. It works out pretty easily, especially since you don't need to win. Calveit NR deck is a farce in this mode. Well over a 100 points in R1 AND R3. I wonder which Youtuber made this horror? I'll just quit next time I see this deck again. The bigger issue is the spy bug. Sometimes when spies are played they act like Canterella (dutchess, emissary, even that neutral dude.) Worse, when they play the neutral dude they take my spy's then they take even more of my cards. Sometimes this doesn't happen, so the inconsistency suggests bugs. This mode is excellent but I don't play against NG because of this crap. Also, with no way to dismiss units from your own side of the board, spies clog up the board and gain an advantage that way as well. Good mode but lots of problems.